Older houses are more likely to be full of harmful compounds than modern homes or even homes built a few decades ago. Depending on its age, where it was built, and the style, you could have a wide range of contaminants in your home. The good news is many of these are rendered inert if you simply leave them be. The bad news is that you’re planning a renovation. Lead paint, asbestos, and mold spores are the three most dangerous things you can stir up in your home by ripping up flooring, bashing down walls, and pulling down old ceilings. The smart decision is to let it be when you can. And when you can’t, it may be a job better left to the pros. Not all home improvement projects are created equal (especially when it comes to an older home), and you need to be smart about tackling the right ones. It’s always a sounds investment to focus on the bones of the home, as that’s what’s likely to be in the most need of repair. 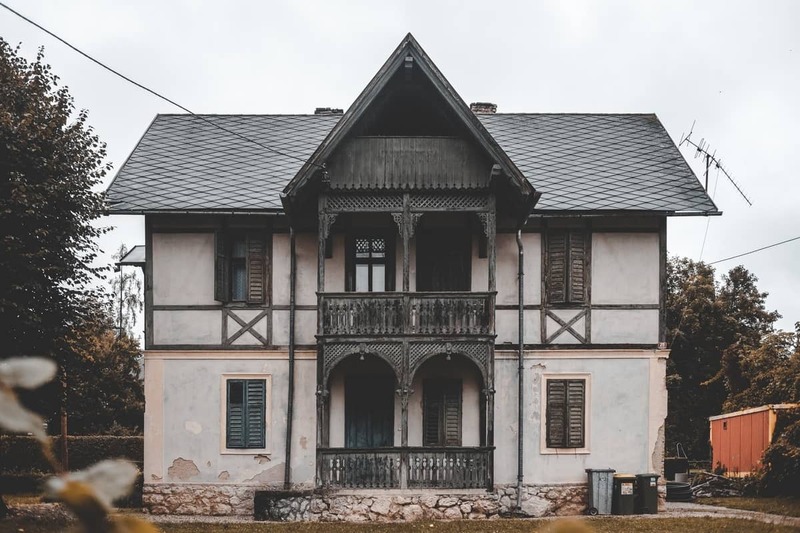 Some common problems in old homes you may need to tackle include water damage (inside walls and between other structural layers), foundational cracks, and various roofing issues. Other worthwhile projects for old homes include revamping the rooms that are often the most dated — the kitchen and the bathrooms. Great renovations include replacing countertops with new stone (granite or marble), refinishing wood floors, and updating the tile. If you’re on a budget, it’s smarter to focus on smaller projects using quality materials than to start larger projects while trying to cut corners. DIYing is fun, but don’t think you can do everything yourself. Stubbornness will cost you time, money, and, possibly, an injury. If your project requires work with electrical, plumbing, or involves structural changes, then it’s best to hire some professional help. Not only will this prevent you from hurting yourself, but they will also do the job quicker and with more precision. There are plenty of chances to flex your DIY muscles. Don’t try it with the big stuff. Before you start DIYing or calling in contractors, it’s vital that you get your important stuff out of the house so it’s protected. Renovating an older house is often rough business, and antiques and other valuable items can be damaged in the process. So, store your stuff in a self-storage unit. The overall average price of a self-storage unit booked in St. Louis, Missouri, over the past 180 days is $74.14, so this is a smart and economical decision. Just remember to set aside some money for a rental truck (around $19.95 per day) to transport your items. Also, old windows are beautiful. Get your windows tuned up and sealed — don’t replace them. In the end, remember this about remodeling an older home: less is usually more. You’ll want to do the things that help bring your home into the 21st century without sacrificing its older charm. There’s a reason you’re fixing up and older home. Be smart.